STEM Kids Can Be Inspired to Read Too! Where the Gumnut Babies Sweetly Sleep – How to Style the Perfect May Gibbs Themed Kids Room! New Australian Kids Literature – What’s to Read? Looking For Summer Holiday Reading? May Gibbs Gumnut Babies Are Perfect! Summer Reading Club Should Be Top of Your School Holiday Plans – Here’s Why! 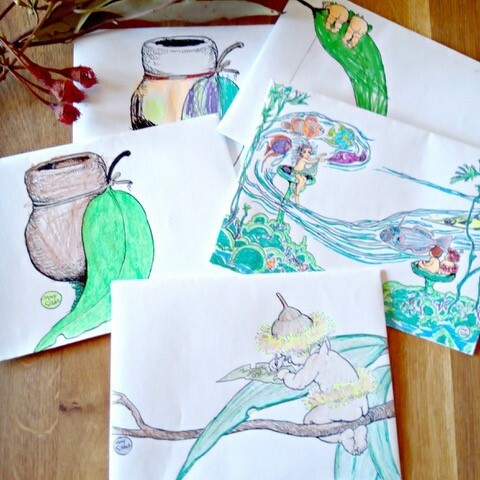 Colouring Isn’t Just For Fun – Why Kids Should Colour Every Day! Australian Children’s Literature – Is It Still Relevant Today? Celebrate The Botanical May Gibbs Art At Carrick Hill! Book Week is Coming! Librarian Bec’s Top Tips To Get Kids Excited! May Gibbs Collectibles: Australia’s Largest Collection Of Gumnut Babies? Our 5 Most Popular Craft Projects for the School Holidays! The Lost Art of Letter Writing – Encouraging Kids to Spark a Love of Letters! Vivid Sydney Festival – May Gibbs Will Make Your Night! What Can You Do At Wild Life Sydney Zoo? This Sunday Bring The Kids To Sydney Writers’ Festival! Raising a Little Writer – How to Inspire Writing in Kids! FREE! School Holiday Colouring Sheets! The Essentials Every Reading Nook Needs! Have a Happy Australian Easter! SnugglePot & Cuddlepie Fans Unite – New Gumnut Babies Collectables! Book Week 2018 – Let’s Make Book Week Costumes All About Australian Characters! Gorgeous Gumnut Baby Inspired Birthday Party Ideas! Fire Up Little Imaginations And Get Kids Reading More! Activities To Get Bookish Kids Into The Great Outdoors! Celebrate With Us – 100 Years of Bush Babies! The Best Ideas To Teach Conservation For Kids! Summer Reading Club – Free School Holiday Library Activities! Australia Day Bush Inspired Australiana For Kids! The Day We Brought Magic Back To Childhood! Australian Gift Ideas – Put A Gumnut Baby Under Your Tree! 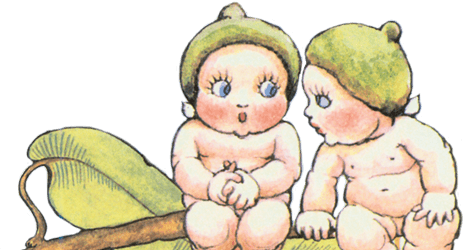 Australia Post has released a commemorative stamp in celebration of the centenary of May Gibb’s Tales of Snugglepot and Cuddlepie. Designed by Mary Callahan, the stamp focuses on the original publication of 1918, featuring the first-edition typography and original illustration. 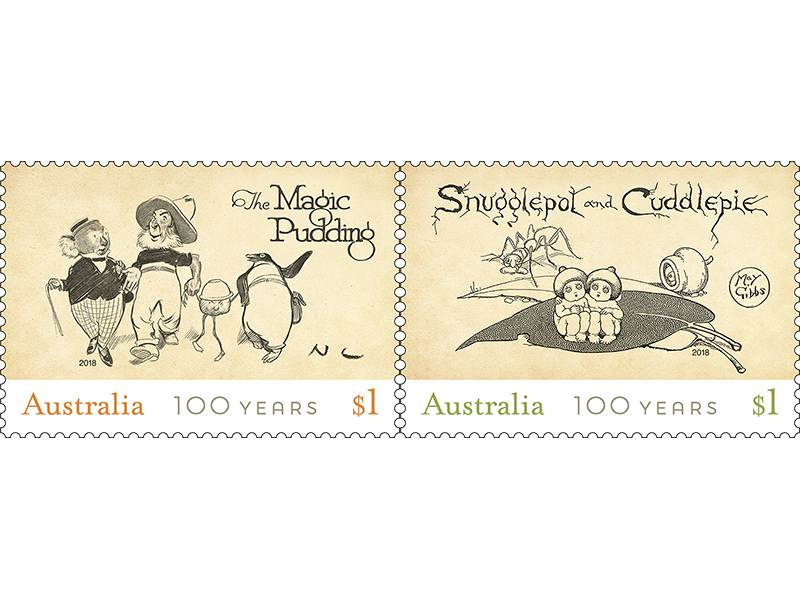 The stamp is released as part of the Children’s Bush Classics which also includes a stamp commemorating the centenary of Norman Lindsay’s The Magic Pudding. The $1 stamp is available from 21st August 2018 and is available in a stamp set, minisheet, stamp pack and maxicard set. The product range accompanying this stamp issue includes a postal numismatic cover for Snugglepot and Cuddlepie featuring coins from The Royal Australian Mint. 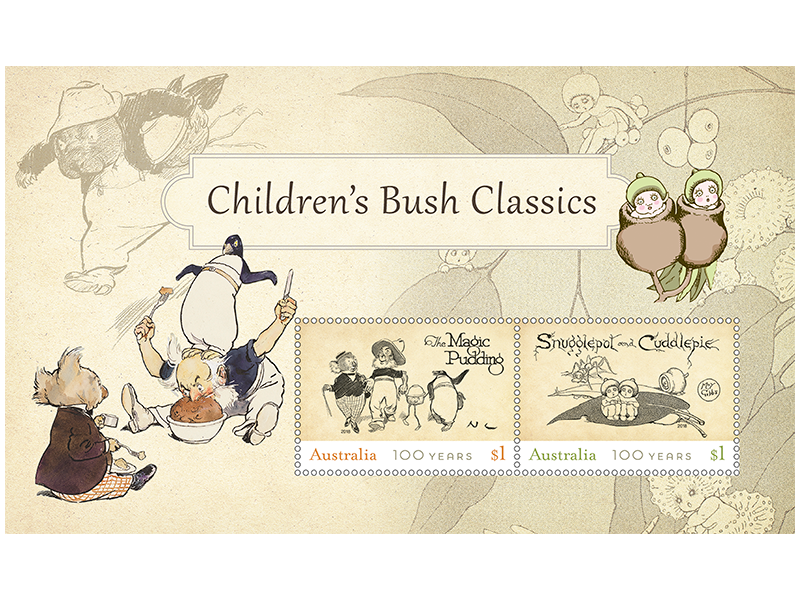 Australia Post has also released Tales of Snugglepot and Cuddlepie licensed stamp pack containing 16 Children’s Bush Classics stamps and lively illustrations in the stamp tabs. 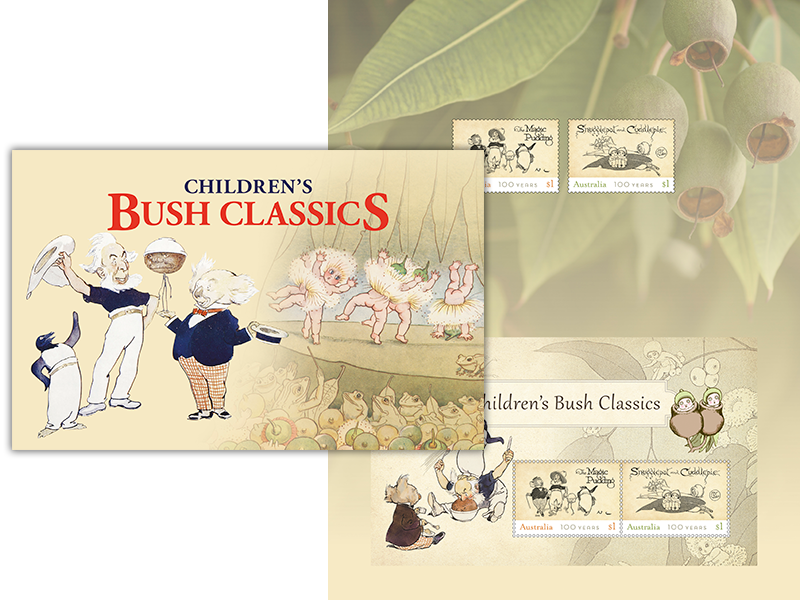 The Children’s Bush Classics stamp issue will be available from 21 August 2018, online, at participating Post Offices and via mail order on 1800 331 794, while stocks last. 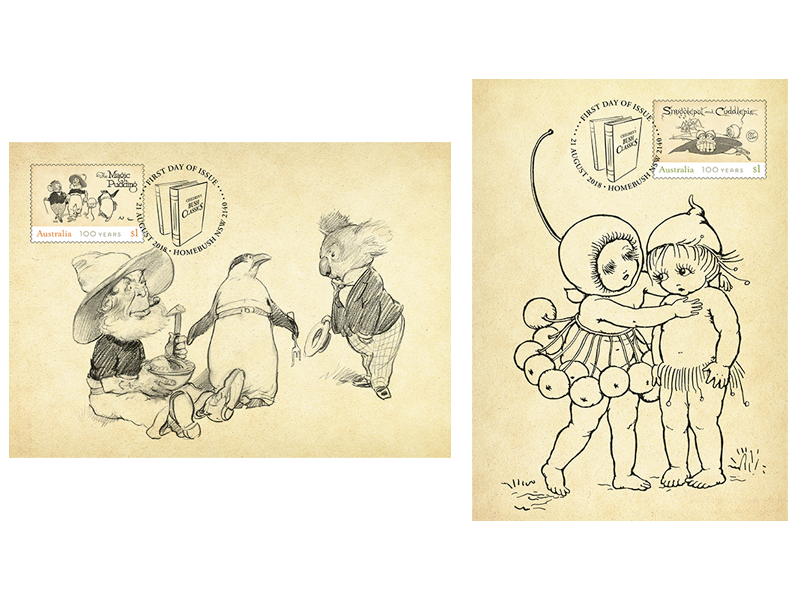 In celebration of the Children’s Bush Classics stamp issue, we have designed a free set of Mail Art templates available for download HERE, encouraging fans of all ages to embrace the art of letter writing.